I have lived in the same house, same address, same city, same state for just over twenty years. I have always lived here with my family, but apparently there is someone else who goes by the name “Lee Hockett” also living here, or at least receiving mail at the same address. I don’t know who Lee Hockett is; I’ve never met him (or her), but I do know that Lee is apparently getting along in years. How do I know this? By looking at the mail he/she has received over the last few years. I do not, of course, open any of the Lee mail, but I have noticed that the advertising has shifted from an emphasis on buying insurance for the young family to the more recent advertisements for cremation and burial services. I have tried repeatedly to stop mail delivery for the mysterious Lee to my home. I have written the post office, filled out post-office forms that ask who lives in the home, written “Return to Sender -Addressee Unknown” or “Addressee not at this address” on numerous pieces of mail and dropped them at the post office. But still the mail continues. I suppose the continued mail is a testament to the tenacity of the American sales force; but lately I have to confess I am a little depressed by my seeming inability to put an end to this silliness, and maybe by the fact that my life, like Lee’s, is moving a little too fast for my taste. 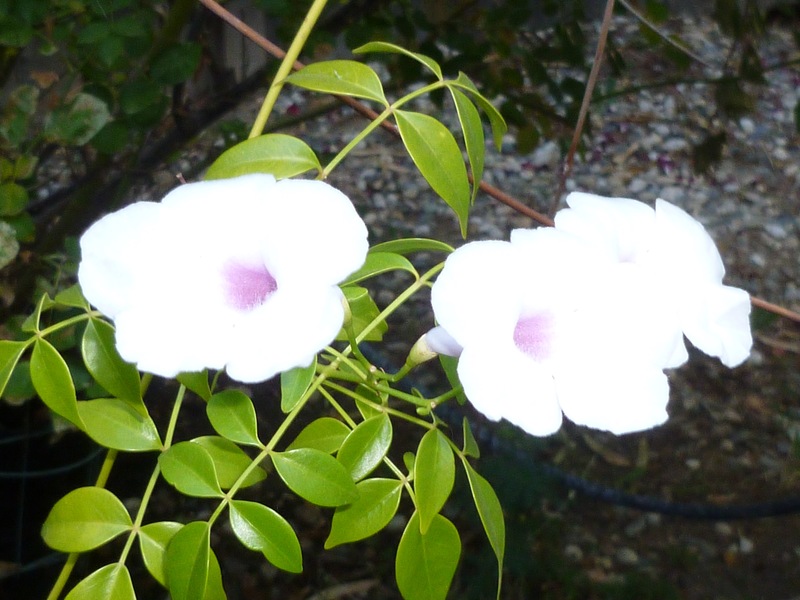 I have a garden that is occupied by lots of birds and other critters. I left a pot filled with soil out near the bird seed feeder. I had planned to plant sometime in the future. About two weeks ago, I noticed that something green was growing. I didn’t pull it out. I figure that if something goes to the trouble of growing and it is reasonably green, I can tolerate it. 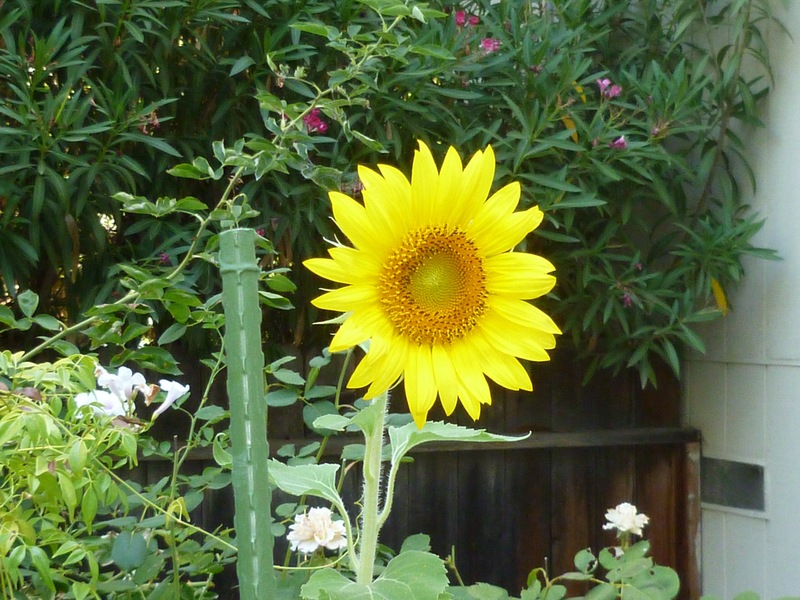 Here is a picture of this volunteer Sunflower as well as two other garden dwellers. 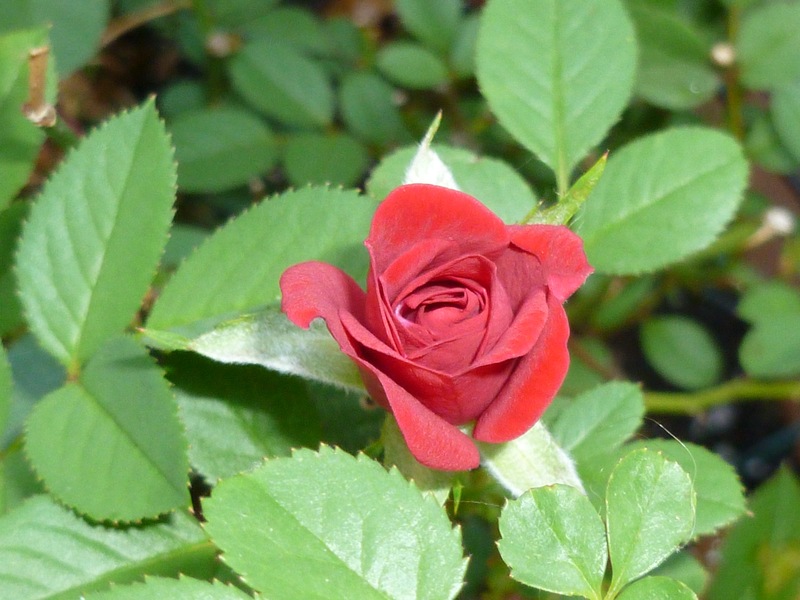 I love the tea rose….a true beauty!